Willis was born on a small farm in Crossroads, Arkansas on October 2nd, 1938. The second youngest of nine, being part of a big family taught him the value of hard work, the meaning of unconditional love, and the importance of a good sense of humor. After graduating from Beebe High School in 1956, Willis found a job with the Pittsburg Plate Glass Company in Little Rock, Arkansas. It was there that he met his wife, Dorothy Kay Reed, at Snappy’s Drive-In in 1959. As the legend goes, she asked Willis if he happened to be named Calvin. With his signature quick wit, Willis responded, “I sure am.” That night he was willing to be anything Kay wanted him to be. They were married on December 3rd, 1960, and he happily served as an adoring husband for the rest of his life. 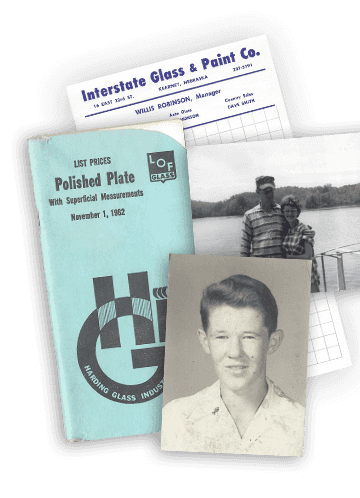 Willis’ son, Willis Clark Robinson II, was born on September 29th, 1961, and Willis joined Interstate Glass in Fort Smith, Arkansas in 1963. He was transferred to Kearney, Nebraska in 1965, where he worked as a manager until 1970. Willis and his family moved to Tulsa and welcomed a new member, Carri Renee Robinson, on September 15th, 1971. Willis left Interstate Glass (which had been renamed Harding Glass) to start Robinson Glass in 1978. He founded the business on Christian principles, and Robinson Glass quickly became known for its integrity and commitment to its customers. 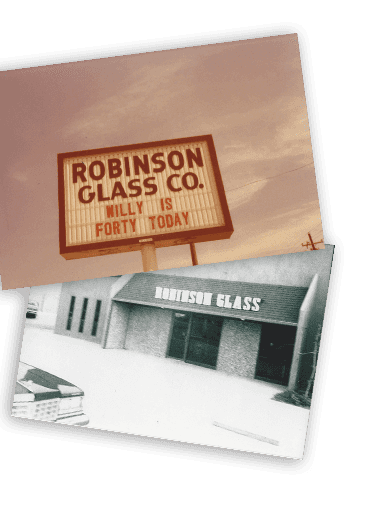 Willis took great pride in Robinson Glass not because of its success, but because it represented God’s will for his life and provided for his family and loved ones. He stayed with Robinson Glass until he retired in 2008 and subsequently passed the company along to his son, Clark. 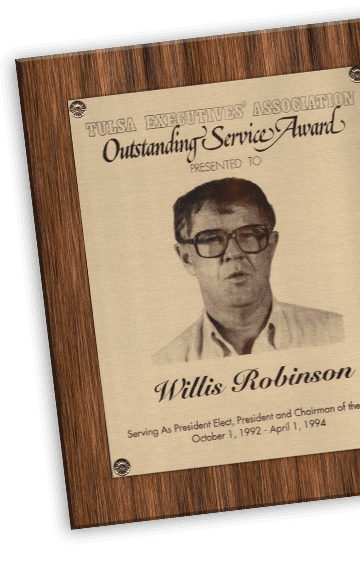 Robinson Glass also allowed Willis to serve the Tulsa community. Over the course of his lifetime, he served as a part of many civic, professional, and religious organizations. He was a Shriner, an emeritus member of the Tulsa Executive Association, and a longtime member and deacon at Parkview Baptist Church. Willis believed in giving generously of his time, money, and heart, and he felt strongly about demonstrating the love of Christ to those around him through his actions. One of the ways he accomplished this was through mentorship, and he took many young men and women under his wing. Willis believed that each day was a gift, and he made the most of every one. Willis loved golfing and was a member of the Oaks Country Club. He spent every moment he could find on the greens, and the time paid off: last year, he scored a hole-in-one. Though he tried to downplay it at the time, his proudly showed his commemorative trophy to house guests. When Willis wasn’t golfing, he was skiing, and he and Kay spent the winter in Colorado hitting the slopes. He spent his retirement traveling the world, driving around town in Kay’s little white convertible, and making new friends. He was a fantastic handyman and a terrible goat farmer. But most importantly, Willis loved his family, his friends, and his God beyond measure. Willis is preceded in death by his father, Francis “Frank” Eugene Robinson; his mother, Jessie Maud Clark Robinson; and his two sisters, Lillian Gurdin and Louise Jones. He is survived by his wife, Kay; his son and daughter-in-law, Clark and Cheryl Robinson; his daughter, Carri Clark; his grandsons, John Clark Robinson, Joel Robinson, and Jacob Clark; his granddaughter, Meghan Clark; his brothers, Francis Robinson, Garland Robinson, and Kenneth Robinson; his sisters, Marlis Gene Akin, Ruth Williams, and Joan Pollock; numerous nieces and nephews; and more friends than we can count.